There are some wonderful indulgences that come along with the Christmas season: cookies, pies, wearing ugly sweaters, and spending lots more time with friends and family. As the spirit of the season finds its way into your mug, consider brewing one of these delicious warm Christmas drinks. Let’s start with a fan-favorite: hot cocoa. 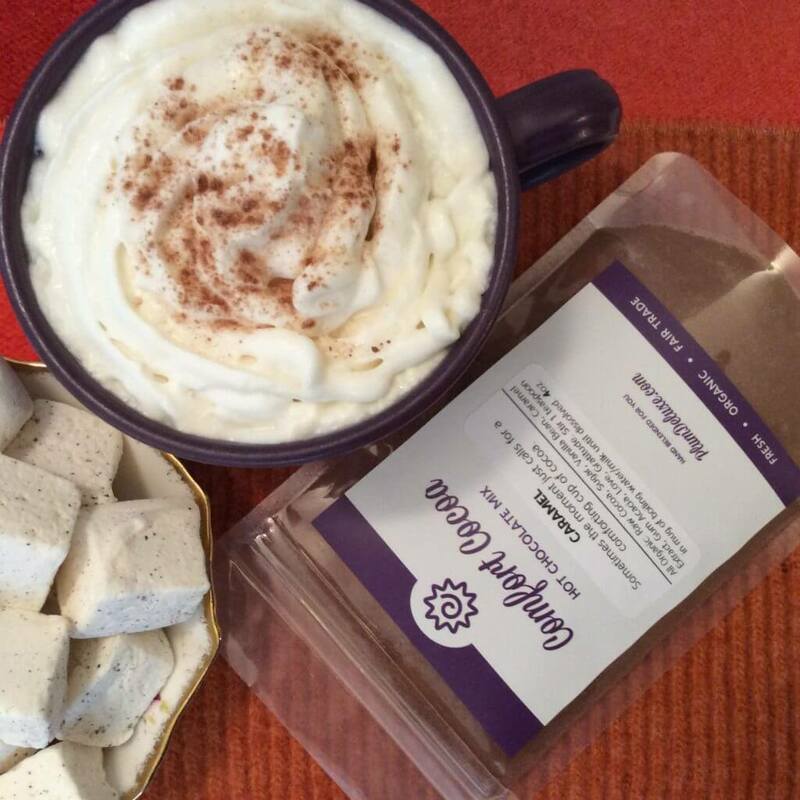 Whether you use our decadent hot cocoa mix or melt your own chocolate, just be sure you don’t forget the marshmallows or whipped cream and everyone will be happy. There are plenty of ways to change up your cocoa recipe, like adding a little espresso to turn your hot cocoa into a hot mocha (not to mention it will add some pep to your step during busy Christmas festivities). 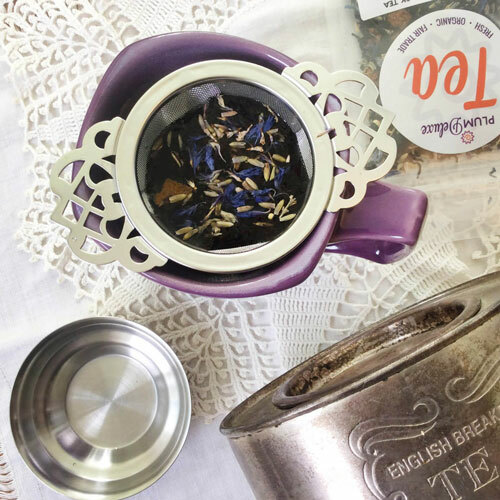 Explore some delicious and unexpected ways to pair your favorite loose leaf tea with your cocoa — like adding some Meadow Walk herbal tea to your chocolate for a ladylike lavender cocoa blend. One of my favorite things to do during the holiday season is brew up a hot cup of apple cider. Not to be confused with apple juice or alcoholic cider, when I say “cider” I mean the cloudy, brown beverage that is packed full of tangy fruit flavor. When warmed up, apple cider starts to make the whole kitchen smell like there is an apple pie baking in the oven. For optimal holiday flavor, heat the cider with whole cinnamon sticks, cloves, grated nutmeg, or any of your favorite seasonal mulling spices. After you’ve added these spices you can even refer to the beverage as “wassail” to sound extra fancy. 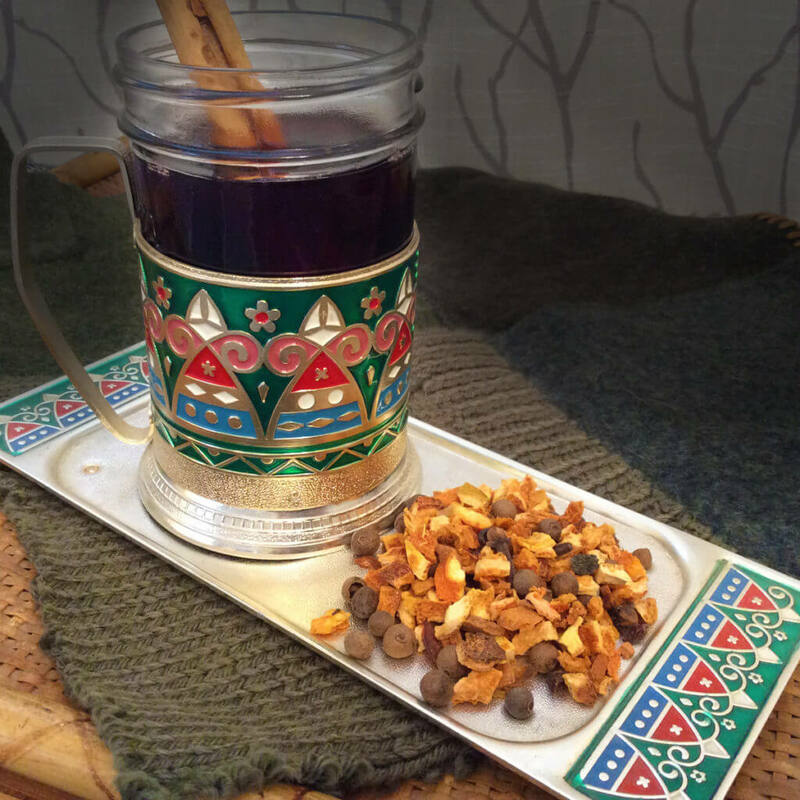 If you get hooked on adding spices to your warm Christmas drinks, check out some other ideas on how to use mulling spices. Eggnog seems to be omnipresent during the eight noggy weeks of November and December, and then it vanishes until next year. Many people drink eggnog cold and add a bit of warmth with their favorite rum and a dusting of cinnamon. But if you need something especially soft and comforting, consider a mug of eggnog for your next warm Christmas drink. Think of it like a warm milk nightcap, or use warm eggnog as a creamy addition to your favorite hot chocolate or latte. Don’t forget the cinnamon and nutmeg on top. Who said pumpkin spice was just for October? There are still plenty of delicious pumpkin things on the shelves come Christmas time, so why not incorporate them into your favorite warm drink? Brew up a cup of Pumpkin Spice tea and enjoy it plain, or as a decadent, whipped-cream-topped latte. Pair the cinnamon and spice of the pumpkin brew with a gingerbread man garnish to make it feel more like Christmas. 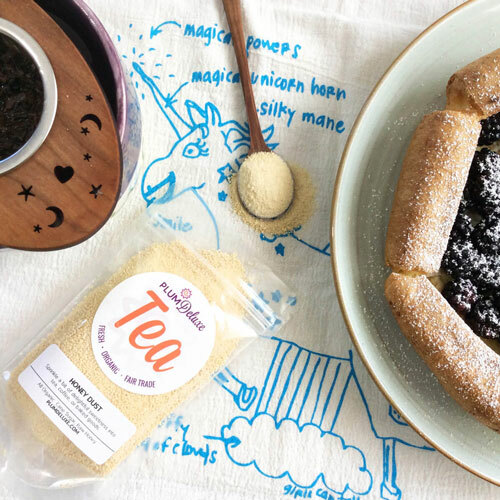 Whether brewing coffee or tea, when you add sweetener, warm milk, and a frothy consistency every flavor feels more luscious on your tongue and more special on your tastebuds. 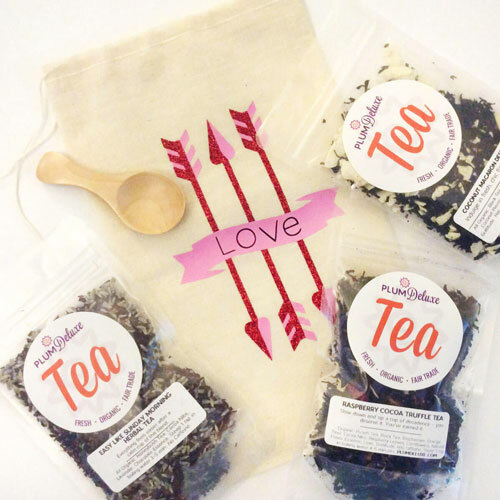 If you are tired of the usual coffee base, try a latte with your favorite black tea, like the classic sweet-vanilla House Blend, the Christmas-orange notes of Comfort Blend, or the hazelnut and marizpan flavors of No Obligations decaf tea. 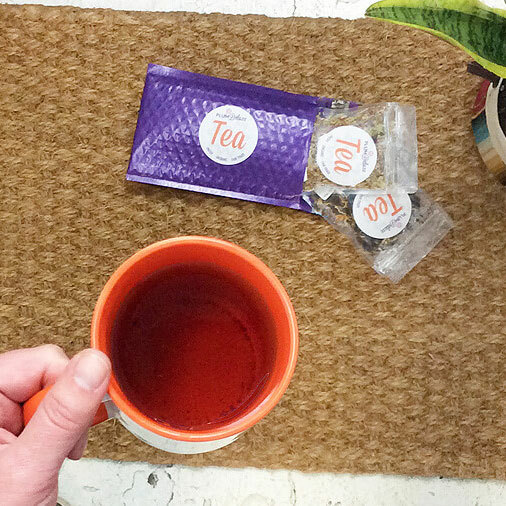 Some of the best warm Christmas drinks are the seasonal holiday tea blends. 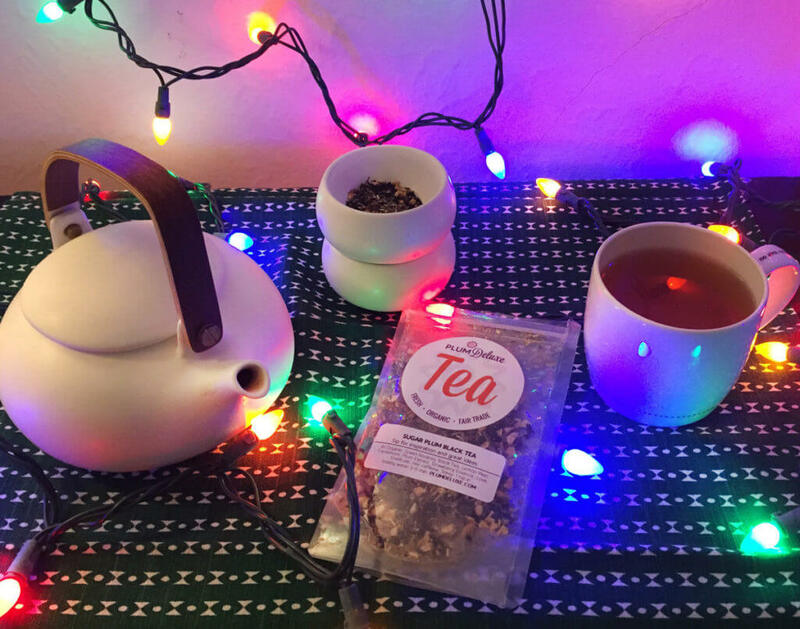 Whether you’re a tea addict or new to tea, there are some delicious loose leaf tea blends that only come around once a year — or that just taste better during Christmastime. To get sweet and silky butterscotch or butter rum notes, try a cup of Soul Warmer herbal tea with chestnut and caramel notes. Drum up some candy-cane flavors and brew Refreshing After Dinner Mint herbal tea, making it extra creamy as a vanilla-mint latte. 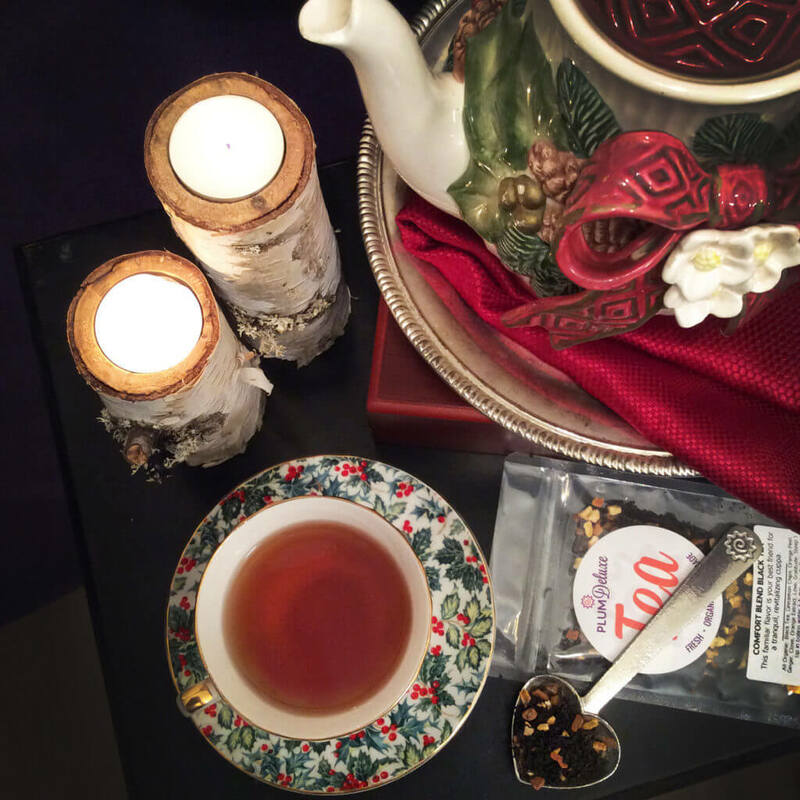 Bring the fruity desserts of the harvest season into your Christmas kitchen with a warm cup of Spicy Caramel Apple herbal tea, or drink the flavors of every Christmas song with Sugar Plum black tea. 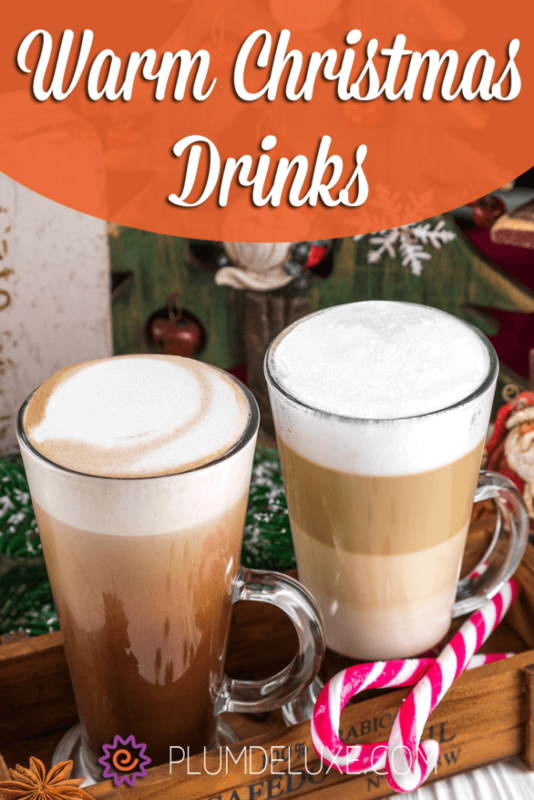 With plenty of ideas for warm Christmas drinks, you can spice up an old favorite or discover a new seasonal beverage tradition. Merry Christmas!